For more information or to schedule an appointment at CoveCare Center, please call (845) 225-2700 or email info@CoveCareCenter.org. If you are a provider seeking to refer an individual, please call (845) 225-2700. 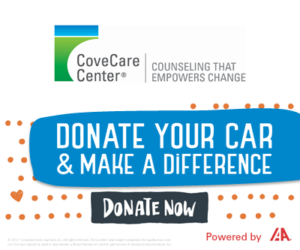 Keep in touch with CoveCare Center — join our mailing list for important news and information. In the case of inclement weather, please visit WHUD's Storm Center for information on agency closings or call 845.225.2700 x182.